There is something to be said for the tried and true, which perfectly sums up how I feel about the Eclipse blackout curtains in black. Take a look at my review to see why these classics could be just the thing your french doors need! The Eclipse Fresno blackout curtains are easy to clean and excellent at blocking out daylight. The Eclipse blackout curtains in black are 100% polyester, block 99% of light, reduce intrusive noises and help to reduce home heating and cooling costs. They are sold as a single panel and come in 4 different sizes:52”x 63”, 52” x 84”, 52” x 95” and 52”x 108”. The style also includes an array of 6 different colors: black, charcoal, dark blue, espresso, mushroom and wheat. To install curtain, remove from package and choose the style you prefer based on how much of the curtain rod you want displayed. There are holes on the outside, where you mount and pull the curtain through. 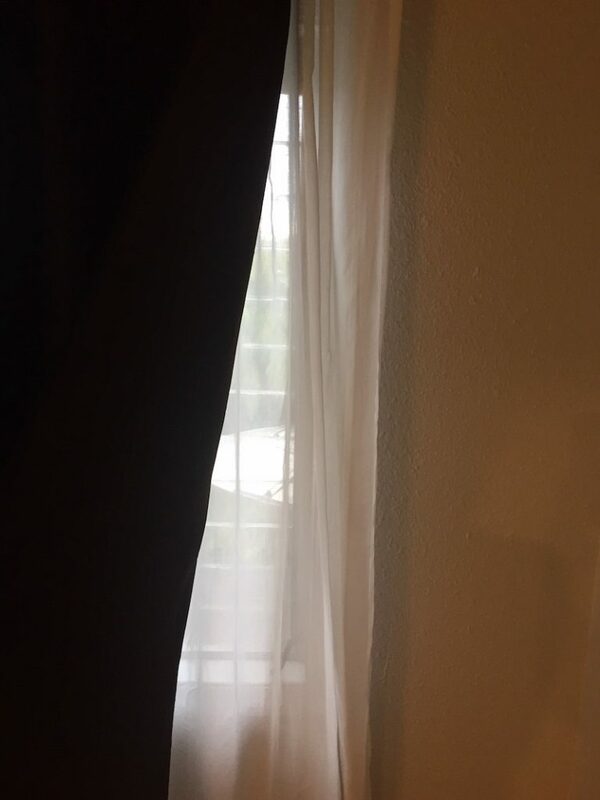 The other option, which hides the curtain rod is the single slot – you also just pull the curtain through and move to preferred placement on window or door. Both methods are equally easy to install, it really just depends on your personal preference. If used for french doors these curtains may need more care than your standard window curtains. Doors receive a lit more traffic (no pun intended) and are also exposed to more hand holding (literally). To clean, machine wash on warm with like colors. If needed, tumble dry on low and use a warm iron. 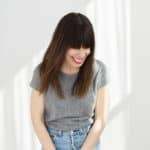 I have reviewed many sets of blackout curtains and to my credit feel that I can now somewhat quickly assess the quality and potentially best location in the home for said curtains. The Eclipse blackout curtains easily fell into a specific category. There is nothing that immediately stands out about the Eclipse curtains. They are long, black, and one panel thick. The color is consistent and they are on the lighter side when it comes to weight. In the scheme of what I have seen, they feel very standard. However, one thing that was clear from the start is that these curtains are versatile. We tried them in both our dining area and on our back door (it does not have a full window, but I wanted to see how it performed in both settings), it looked nice, was a good length and dimmed the room considerably. With those criteria, I think it is a strong option for those with french doors. The fabric is slick, but not so much that it would be problematic for opening and closing doors (trust me on this one, I have two boys who open and clothes our doors incessantly, it was able to withstand their wear and tear without a mark or tear). It will also provide a nice temperature buffer during both the cooler and warmer months. The variety of colors offered make it accessible to the palette of most any room. I was pleased and would definitely use these curtains in my own space, if I was lucky enough to have french doors, that is. You can currently purchase the Eclipse blackout curtain in black for $14 for a single panel. Still, a great deal for one or two considering the versatility of the style. The curtains are easily available via Amazon and Kohls online. 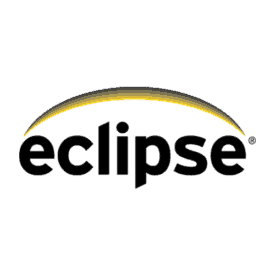 Popular among consumers, they Eclipse brand had many positive reviews. The negative feedback mostly consisted of people complaining about the effectiveness of the curtains when it came to light blocking. These are curtains I would purchase and use in my own home, in certain spaces. As I mentioned, the versatility of the curtains is a definitely plus in my mind and I think they fall perfectly into the french door or door with a large (long window) coverage category. Perhaps not the best option for daytime sleepers or children, the style, aesthetics and color selection of this product make it a strong contender for interiors that need some sun protection and temperature control. And added bonus is that they are easy to care for. 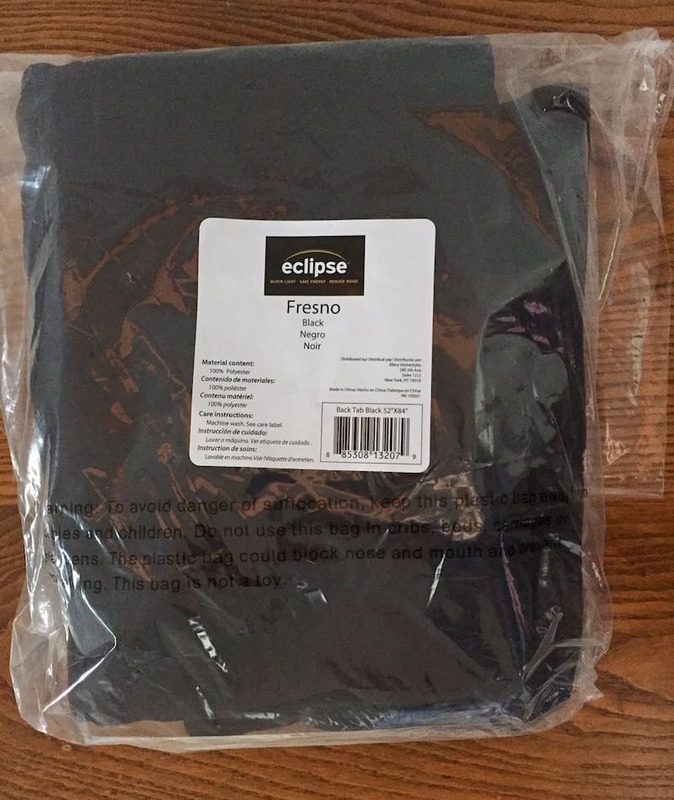 So, if your children are like mine and change their minds every 10 minutes about whether or not they want to be inside or out, the Eclipse curtains can handle that wear and tear (and when dirty, can be easily plopped in the washer for a cleaning). French doors or sliding doors that receive a lot of natural light. A daylight basement or playroom that has floor to ceiling windows and is traffic heavy. Easy to clean, the Eclipse curtains can handle the wear and tear. Ready to buy? 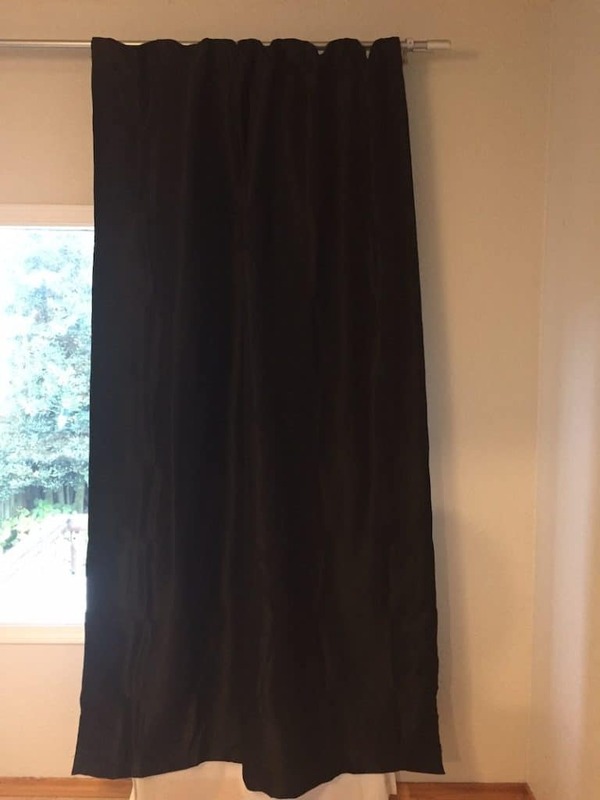 Grab these blackout curtains on Amazon!